I came to India alone, I'm leaving my home in India with a huge, lovely family from different countries. Thank you for being home, AmigosIndia. Jaipur is a beautiful place to see Indian culture. In Agra, I felt like I can travel in time and I went to past century. Mussoorie is a good place to chill and get fresh. I really enjoyed being to those places. But the main reason of this is I went there with my wonderful friends. We enjoy those places together, we support each other, take care of each other. 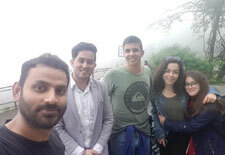 Travelling with Amigosindia was my most carefree moments in India. They wanted every one to be happy and took good care of us. Laughters never stopped when we were with them.each other, take care of each other. Our journey Started From Delhi To Agra ,Jaipur and ended at Mussoorie and those moments were precious to spend with amigosindia team.We were many people from different countries and they helped us and sorted our problems, Avinash the owner of this hostel. I really appreciate their work and the love and hospitality which they give to Us. 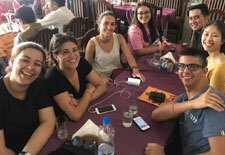 I had a great experience ,Amigosindia means living there,have great moments, different experiences from different people together towards a new day. 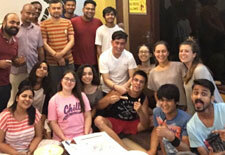 AmigosIndia is not only a hostel, it is a big family where I felt as at home. Avinash and Manisha are very welcoming and friendly and they always have a smile. They are helpful and they take care of all their guests. I have made many friends in the common rooms and everyhting is clean and comfortable. I have been in other hostels in India and I can say that this is definitely the best I've stayed. If you have the chance, do not hesitate to stay with them!! You don’t need to wait for a single minute to start improving the world. 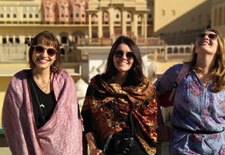 India has unlimited scope and opportunities for volunteers from around the world. 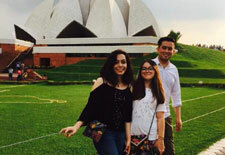 Students come to India every year for summer internships, winter internships, paid internships and volunteering in the fields of digital marketing, photography, law, architecture, finance, HR, media, Art and lot more. We believe that in order to experience real India and its cultural one must live local. Amigos India helps you to serve the society and add value by your efforts and suggestions. There are many who are compassionate but very few are willing to act. The only way to discover yourself and generate happiness is by serving others. You would learn to be wise and humble to guide people in the right direction. AmigosIndia provides a platform which is low budget and gives you an enriching experience. We started as a backpacker hostel in New Delhi and we’ve been hosting travelers from around the world from past 2 years. 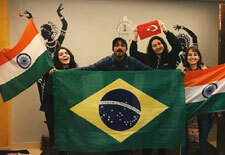 We have taken students on board from Spain, Brazil, Egypt, Afghanistan, turkey for our travel project. One can opt for summer internship and winter internship both. We provide a 4 weeks project which will cover cities in north India starting from New Delhi, Jaipur, Rishikesh, Mussorie, Agra. 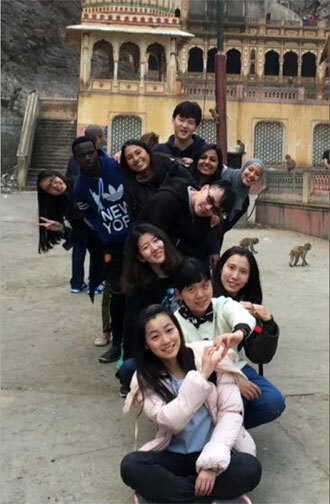 Our project gives the travel exposure and let you participate in social activities on the go like cultural exchange, helping at school s and orphanage, awareness programs etc.